Why only make one person happy with a gift? 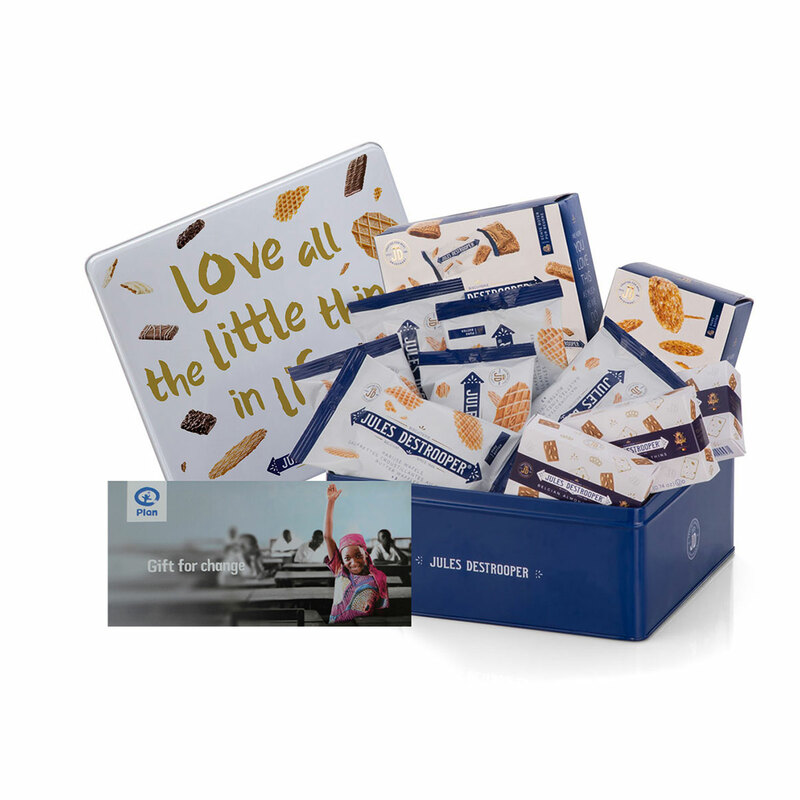 Surprise your friends, family, or business relations with a tin box filled with delightful Belgian Jules Destrooper biscuits and, at the same time, enable two girls to go to school for a year. Thanks to this Office Treats Gift Box, Plan International Belgium is able to send two girls to school for a whole year. Girls who complete at least nine years’ education are able to make a better future for themselves and future generations. In its education projects Plan gives special attention to girls, so that they are able to improve their environment together with boys.